We all know what it feels like to not get enough sleep. You hear the alarm go off and a feeling of dread fills your body. It’s already time to get up? You slowly stand up, stumble to the bathroom and look back at yourself with bloodshot eyes. It’s not a good start to the day. The rest of the day doesn’t play out in a great way either. The reason? You’re sleep deprived, and you’re not alone. 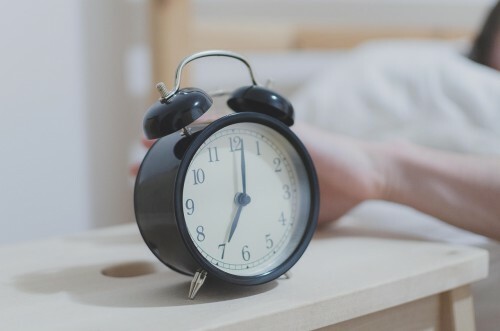 According the the Centers For Disease Control and Prevention, sleep deprivation is a public health epidemic with 70 million Americans suffering from insufficient sleep. You might think that being tired is normal and so you justify it to yourself. You think: it’s OK. I’ll catch up on sleep this weekend. The unfortunate truth is that it’s not OK, and you’re actually doing yourself harm. An infographic which sums up the effects of sleep deprivation perfectly can be found here. It doesn’t paint a pretty picture. By denying yourself the valuable shuteye that you need, you are negatively affecting various parts of your brain which control your mental and physical condition. The severity of this ranges. On the not as serious side of the spectrum, you will find it much more difficult to focus and be productive. This will impact your schooling or work performance. You might also struggle to keep your emotions in check. Not only will you feel more emotional and moody, you will be more likely to have bursts of anger. How much you eat can also be impacted. By decreasing your ability to make sound decisions and at the same time having less control over your desires, you will find yourself eating more. On the more serious side of the spectrum, being sleep deprived can have grave consequences. Your tendency to take risks increases due to your reduced judgement. This can lead to poor financial or other decisions. The most publicly known risk of being sleep deprived is falling asleep while driving. Having reduced attention and focus combined with exhaustion when driving can quickly turn into disaster with fatal consequences. These are just a few examples of the impact sleep deprivation can have on your mind and body. Needless to say, getting enough sleep is pretty important. So if you feel like you are one of the 70 million Americans who regularly doesn’t sleep enough, it’s time to make a change. Nick is an Engineer with a passion for sleep. He is the principal blogger for Sleepydeep.com, a site dedicated to providing the best sleep information. We spend about one third of our lives asleep, yet it is largely under valued as a source of rejuvenation, health and wellbeing. Reach your daily potential by optimizing your sleep. Do You Know What Happens When You Sleep? Sleep has always been an issue for me in regards to weekends. It seems that I always find a good time to go to sleep during the week, then the weekend comes and I always change the time.